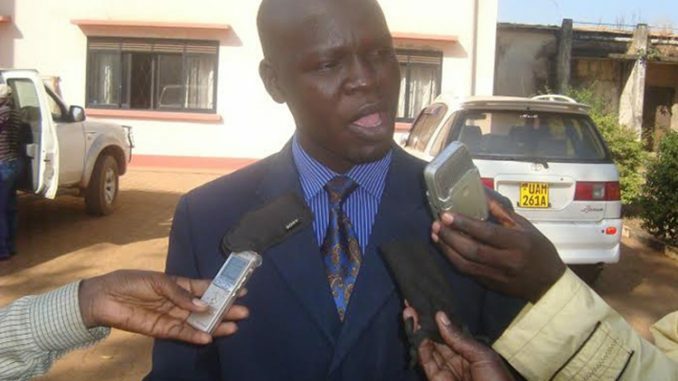 Martin Ojara Mapinduzi, the Gulu LC5 chairperson came under attack from a section of members of the Forum for Democratic Party in the district who accused him of allegedly switching allegiance to the National Resistance Movement party. Ojara, formerly the district council speaker, was elected the district chairperson in the February 2011 elections as the FDC candidate. He defeated the late Col Walter Ochora who stood on NRM ticket. Prior to his election to the district seat, Ojara was also elected the FDC district chairperson. But hardly a year in office, Ojara came under attack from his fellow FDC party members who alleged that he has been sighted in several meetings with members of the NRM party, a fact they said was causing them worry of losing their leader. Owen Chris Okoya, the LC5 councilor for Palaro Sub County is heading the team that is demanding that Ojara should resign his FDC district chairperson’s seat over the allegations. Okoya, who was also the FDC chairperson for Aswa County, said that they have so far collected 42 signatures to force Ojara out. He explained that they also sent a petition to the FDC headquarters highlighting their grievances that include complaints that Ojara failed to effectively coordinate the party activities. The FDC members also accused the district him of failing to organize by elections to fill existing leadership gaps in the party at the grass root level. Ojara, however, laughed off the accusations calling them baseless. He said he is both the FDC and the district chairperson and has to serve and meet anyone in the district irrespective of their political affiliation. Ojara described the demand by his party members as egocentric adding that they would not divert him from doing what is legally his duty. He admitted that while the by elections have taken long, it is the duty of the party electoral commission to conduct the elections and not himself. He explained that without the election of people to fill the existing leadership gaps, it is not possible to convene any meeting of the party.